Time to indulge in my favorite thing: breaking down make and model histories. SS Cars Ltd. was the result of the Swallow Sidecar Company – founded by William Lyons and William Walmsley – turning to automobiles. This occurred in 1934 (even though cars had sort of been on the table since 1932). The company became Jaguar in 1945 – thanks a lot, Nazis (but seriously, even the SS Cars logo looked like it was ripped off of an SS officer’s uniform). Prior to 1935, the company had a few products, namely the SS1 and SS2. 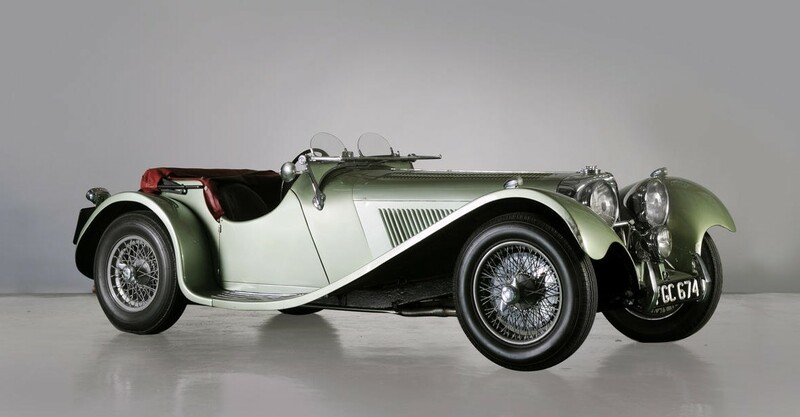 Sports cars came next with the SS 90 and SS 100 (or SS Jaguar 90 and SS Jaguar 100). Jaguar was a model name with various trims and engines. The SS Jaguar sedans went on sale in 1935 as the SS Jaguar 1.5, Jaguar 2.5, and Jaguar 3.5. They would be produced until 1940 and would go on sale again in 1946 as the Jaguar 1.5, 2.5, and 3.5 (without the SS). And what we have here is an SS Jaguar 1.5. It was available as a sedan or 2-door drophead coupe. This sedan is called a “Coachbuilt Saloon” but there is little evidence it was coachbuilt in anything more than name. Power is from a replacement Ford Kent 1.6-liter straight-four, which is unfortunate. The lot description says that this car is the oldest surviving Jaguar in the U.K. and one of just five 1936 Jaguars to exist worldwide (yes, there are older non-Jaguar SS cars). One of 10,980 made, it should bring between $26,000-$33,000. Click here for more info. The Alfa Romeo 1900 was Alfa’s executive car introduced at the 1950 Paris Motor Show. Produced through 1959, it could be had as a four-door sedan, two-door coupe, or two-door convertible. This is not the standard coupe. There were a few sub-models of the 1900, including the 1900 Super, 1900TI, and the 1900C – which was the short wheelbase version. This SS version is powered by a 115 horsepower, 2.0-liter straight-four. Quite a few of these were coachbuilt specials and many of those were one-offs, including this Turin Motor Show car by Mario Boano. Sold after that show to a Milanese buyer, it remained in Italy for quite some time, finally finding a foreign owner in 2013. The restoration you see here wasn’t complete until 2017 – and it has been restored back to as it was on the Turin Motor Show stand. The styling on this car is very Jet Age, carrying bodywork that fit right in with other coachbuilt specials from the era. When it crosses the block in January, it is expected to bring between $1,250,000-$1,750,000. Click here for more info and here for more from this sale. 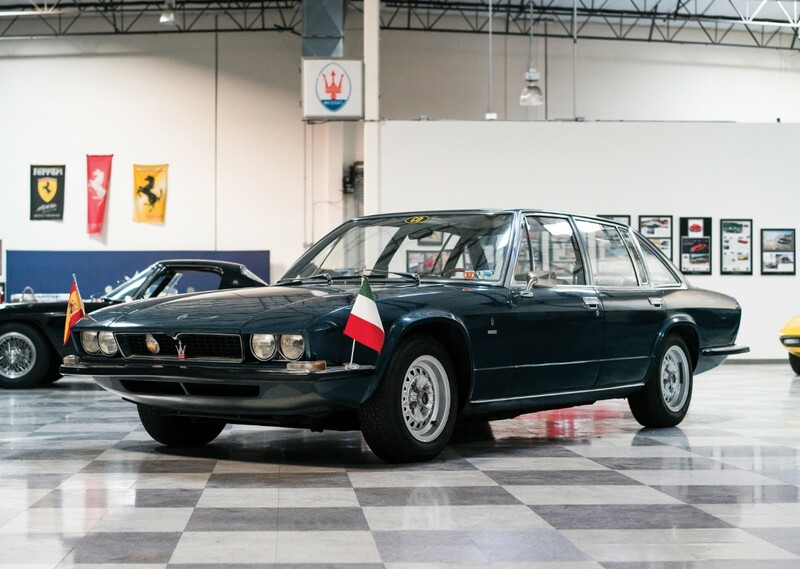 There have been three Maserati Ghiblis: the current sedan, a largely forgotten coupe of the 1990s, and this, a beautiful Ghia-styled Grand Tourer from the 1960s and 70s. A Coupe and Spider were available and in 1969, to partner with the base Ghibli, an SS was released. Only 128 Ghibli Spiders were built and only 30 of those were of the 4.9-liter SS variety. The estimate on this car is between $1,750,000-$2,250,000. You get what you pay for. Click here for more info. 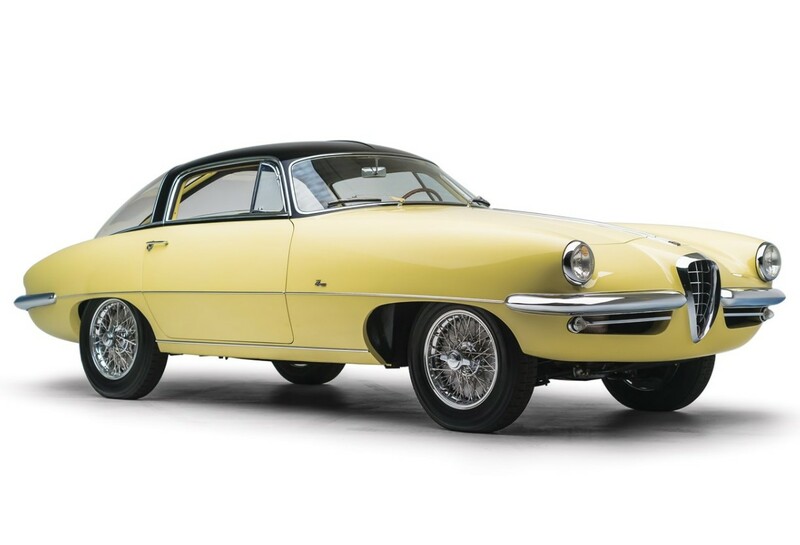 It seems like each year there is a theme among auction houses as to a certain type of car that is, for whatever reason, more prevalent at the Pebble Beach sales than usual. Two years ago it was open-wheeled race cars. This year it’s Maseratis. 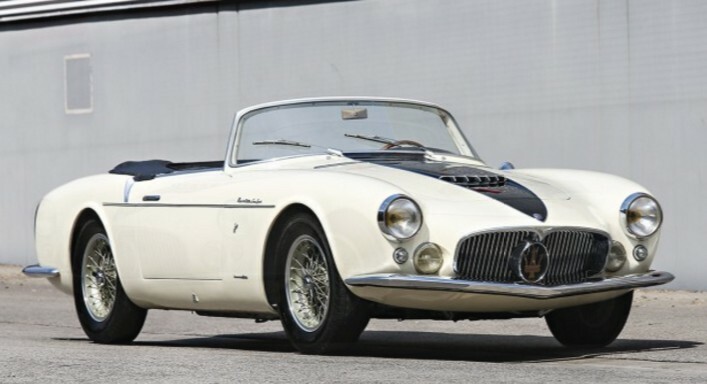 Both Gooding & Company and RM Sotheby’s are offering difference collections of Maseratis. The car you see here is probably the best one available. The A6G/54 was introduced in 1954 (and built through 1956) and was the final version of the A6G, a car that dated back to 1947. It is powered by a 160 horsepower 2.0-liter straight-six and four body styles were offered, though none were built by Maserati themselves. 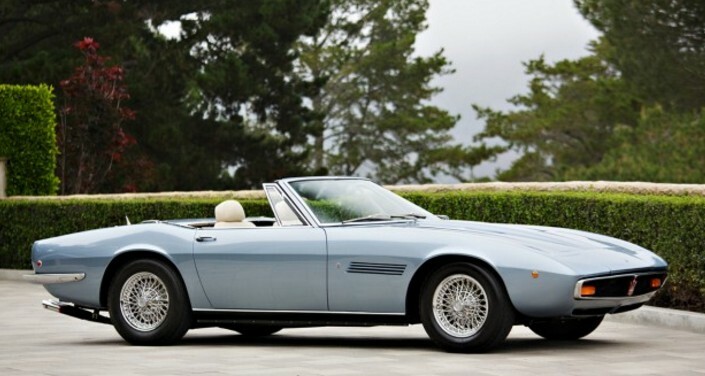 Frua offered a Coupe and Spider, while Zagato and Allemano also offered a style each. This is the fifth of 10 Frua Spiders and one of only 60 A6G/54s built in total. It was sold new in the U.S. and has spent a majority of its life on the west coast. Restored in the 1990s, this beautiful car does not come with a pre-sale estimate, which should tell you what you need to know regarding affordability. Click here for more info. 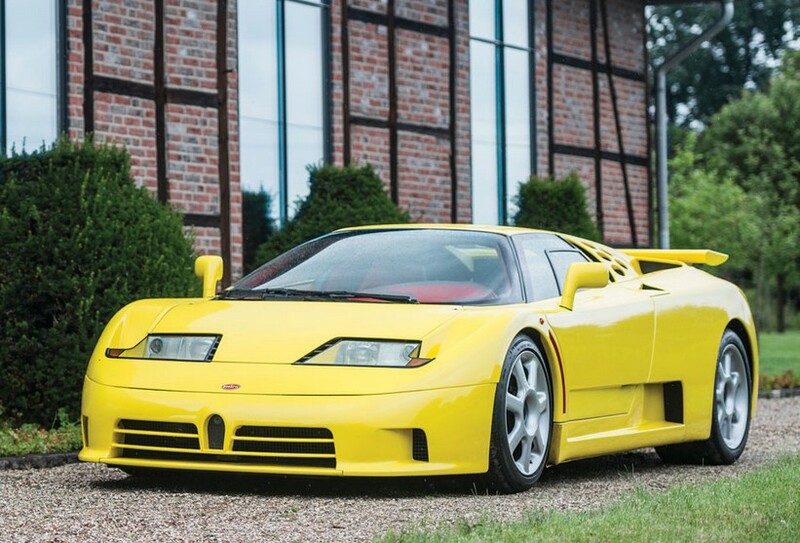 The Bugatti EB110 was the Italian Bugatti – built during the 1990s supercar craze by Romano Artioli in Modena. It was a serious supercar, too: with a 3.5-liter quad-turbocharged V-12 making 611 horsepower and capable of 216 mph, it backed up its looks with performance. But what Bugatti didn’t do in these years, was go racing. In fact, most of the supercar manufacturers of the 1990s didn’t take these wild things racing. It was left mostly in the hands of privateers. Enter Gildo Pallanca Pastor, a wealthy Monegasque businessman who loved to race. 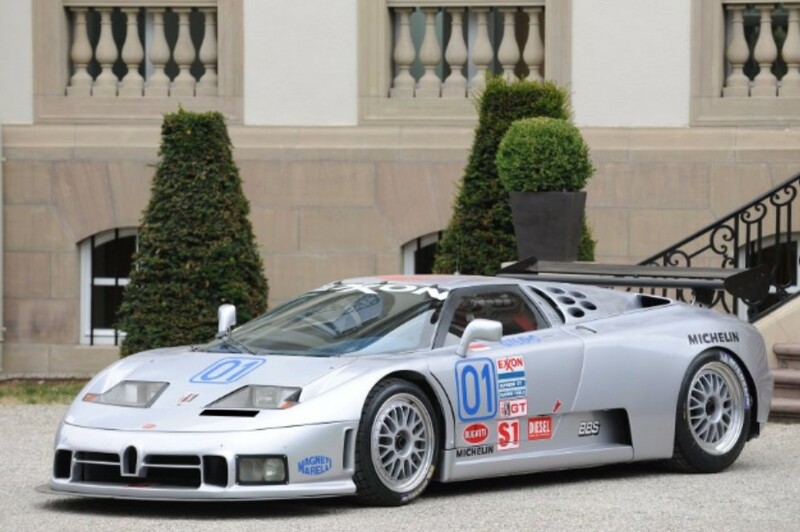 His Monaco Racing Team got permission from Bugatti to take the EB110 sports car racing. They got the car approved and entered it in the IMSA Championship in the U.S. The driver lineup was Gildo Pastor and Patrick Tambay. They entered five races and then set their sights on Le Mans. However, by the time Le Mans rolled around in ’95, Bugatti was bankrupt – luckily Pastor had the money to keep going. Tambay had a wreck in qualifying and, being a privateer with one car and limited spares, they weren’t able to get the car repaired in time for the race. “Did not start” is what the record book reads. This car is road-registered in Monaco and is in fabulous condition. There was one other EB110 that ran at Le Mans in ’94, but that’s it as far as EB110 race cars are concerned. This one should bring between $875,000-$1,300,000. Click here for more info and here for more from this sale. This is one of the best super cars ever. It has the looks, it has the name, and it certainly has the speed. Romano Artioli’s Bugatti took shape in 1991 when production of the EB110 started in Italy. The original, “base” EB110 GT lacked the rear wing, as far as styling cues go. But the real difference was the power unit. The Super Sport packs a punch with its quad-turbocharged 3.5-liter V-12 making 610 horsepower (a 50 horsepower bump over the GT). This put it right there with the McLaren F1 in terms of 1990s horsepower superiority. Top speed is an insane 216 mph. It can hit 60 in 3.2 seconds – which is still impressive 20 years later. But the best thing has to be the looks. It just screams “super car” with proper scissor doors and bright yellow paint. It’s all around classic super car design. Bugatti would go broke in 1995 after just 33 EB110 SSs had been built – for a total count of 139 EB110s. This is one of the last built and has had two owners since new, with the first being in Japan. RM seems to always find at least one fantastic super car for their London sale and it’s not going to get much better than this. Click here for more info and here for more from this sale. Two auctions left to cover. 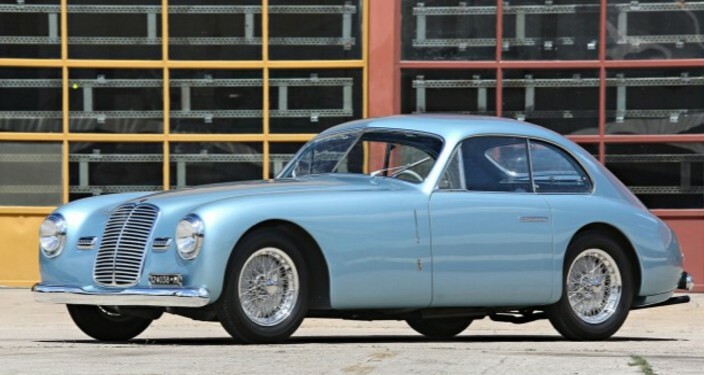 First, Gooding’s Pebble Beach sale put up some big numbers. Frankly, I’m really bored with million dollar Ferraris. And Mercedes Gullwings don’t do anything for me. Instead of listing the 30 (yes, that’s right) cars that hit the million dollar mark, I’ll just show what’s interesting. 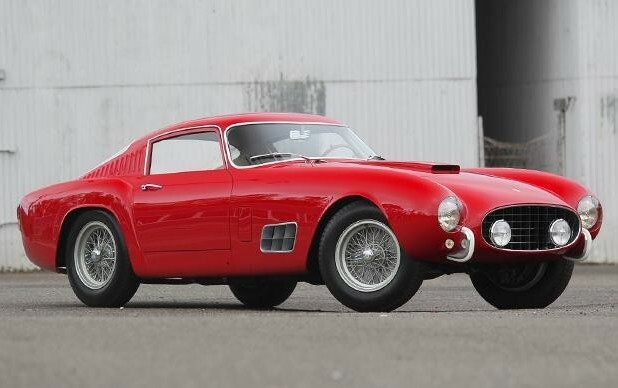 I will, however, show you the top sale, which was this 1957 Ferrari 250 GT 14-Louver Berlinetta for $9,460,000. The next two highest selling cars were pretty interesting. 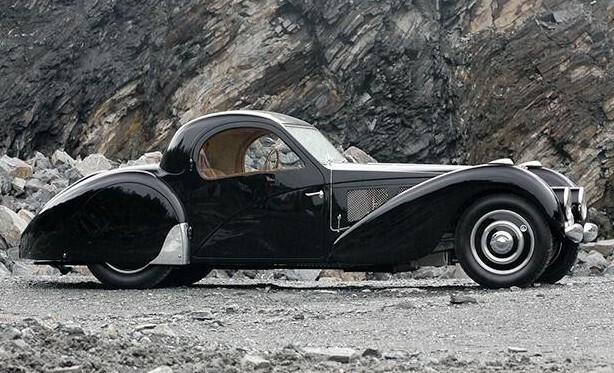 First, this 1937 Bugatti Type 57SC Atalante went for $8,745,000. And then this. This result actually made me shout an expletive when I saw it. 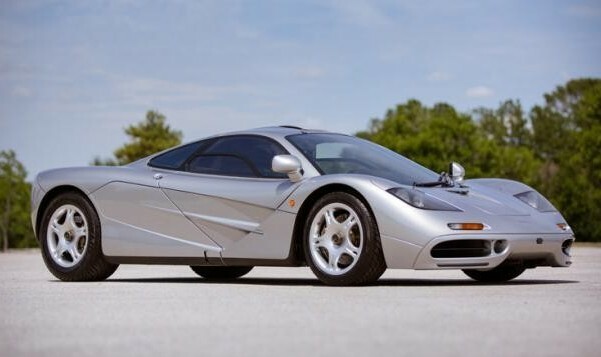 It’s a 1997 McLaren F1. A year or two ago, one sold for $2 million, which was way more than any other F1 before it. I remember 10+ years ago when these things were at exotic car dealerships around the country with a price tag of $800,000. This one sold for an astounding $8,470,000. This is a big deal. These cars will never be attainable ever again for mere millionaires. They have proven to be exquisitely collectible. Feature cars! 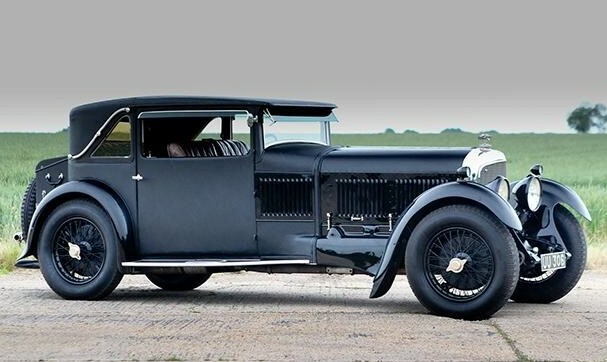 The Hispano-Suiza J12 was withdrawn from the sale. 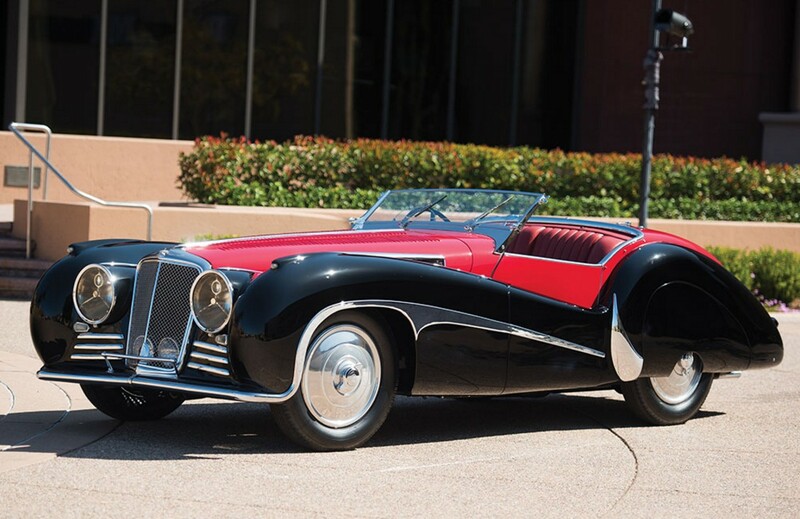 A previously featured and early Duesenberg Model J brought $2,365,000. The Ferrari F40 LM brought $2,090,000. Two other Ferraris failed to reach their reserves: the Ferrari FXX and the Ferrari 400 Superamerica. Cool cars? 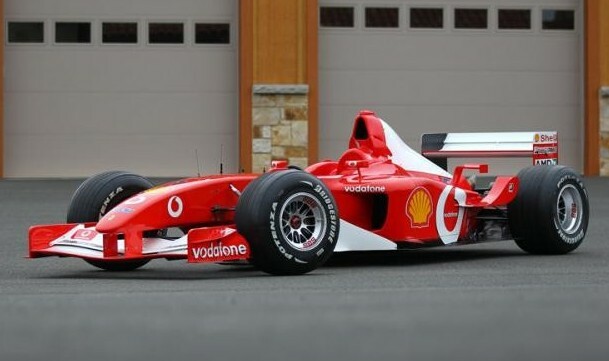 How about this ex-Michael Schumacher and Rubens Barrichello Grand Prix-winning 2002 Ferrari F2002? It sold for $2,255,000. 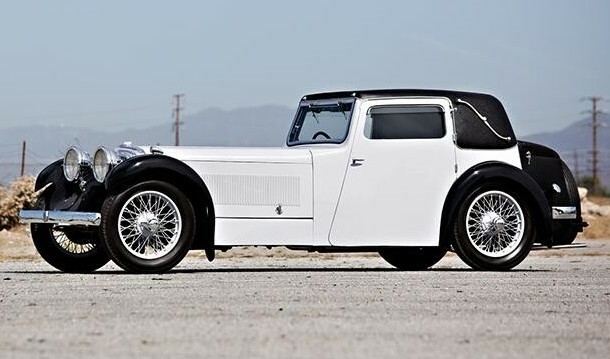 I really like this pre-Jaguar 1932 SS1 Coupe for $154,000. Other feature cars sold: the Gurney-Weslake AAR Eagle brought $3,740,000. 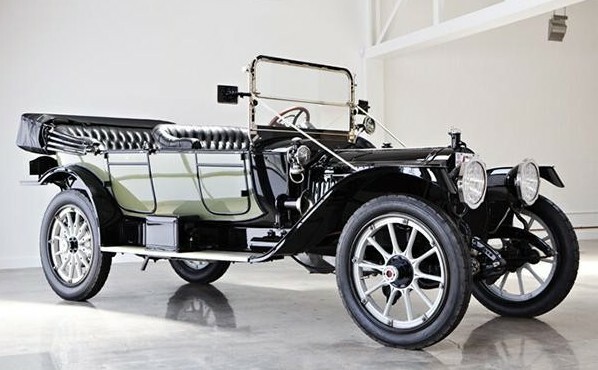 The Voisin C25 sold for $1,925,000. 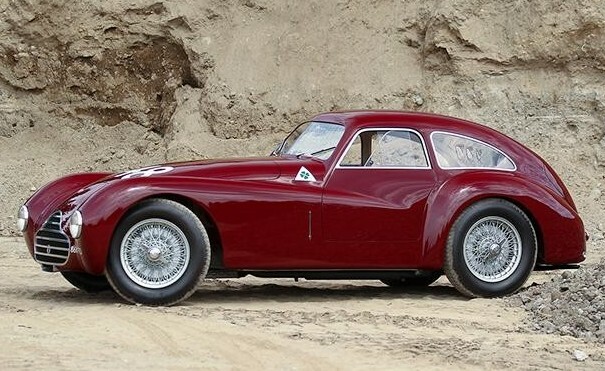 Gooding & Company, like RM Auctions, also sold a Ferrari N.A.R.T. Spider. This one happened to be a 365 GTB though, and “only” brought $720,000. This huge 1914 Packard 1-38 Five-Passenger Phaeton was one of my favorite cars of the entire sale. It sold for a healthy $467,500. 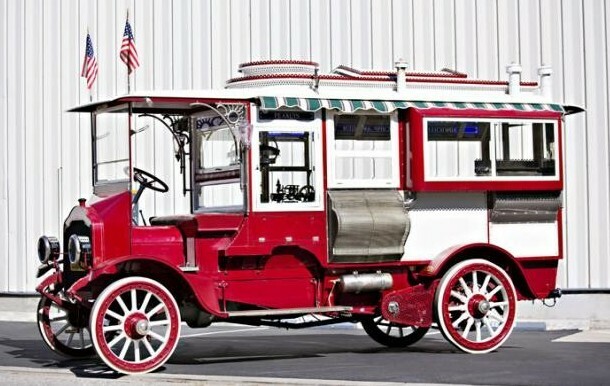 This ex-Harrah Collection 1915 Cretors Model C Popcorn Wagon was the first car cut from my “to be featured” list when time ran out. It sold for $374,500 – almost $100,000 more than the top end of its pre-sale estimate. 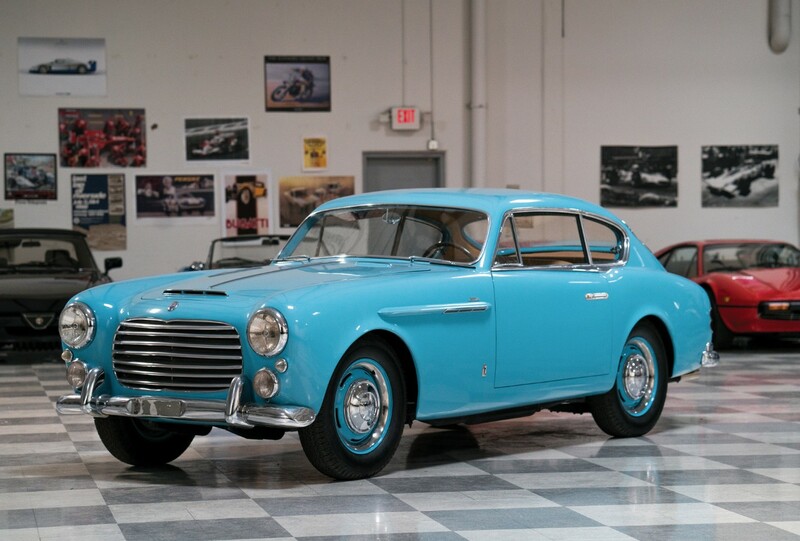 This 1948 Alfa Romeo 6C 2500 Competizione was one of the stars of the show. It was hammered away for $4,840,000. It’s the only one like it left. And finally, I thought this 1929 Bentley Speed Six Grafton Coupe by Freestone & Webb looked pretty sporty. But the price was a little too-sporting for my wallet: $2,860,000. And last but not least, Russo & Steele’s Monterey sale. Our featured Bizzarrini Prototype sold for $77,000. 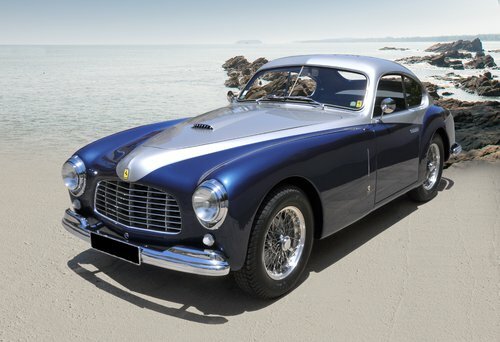 The top sale was this 1949 Ferrari 166 Inter Berlinetta by Stabilimenti Farina for $1,050,500. 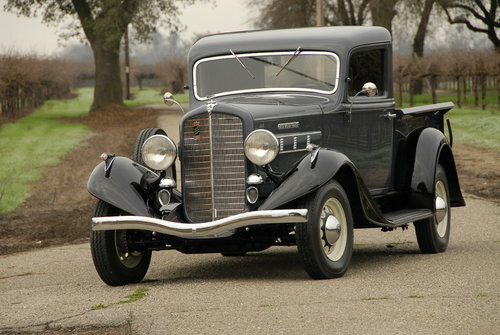 Interesting cars were topped off by this 1935 REO Speed-Wagon Model 6AP Pickup. It sold for $110,000. Check out full results here. Swallow Sidecar Company was founded in 1922 by William Walmsley and William Lyons – and they built, well, sidecars. 1926 brought coachbuilding into the business. In 1932, they introduced their own car, the SS I and in 1934 Lyons founded SS Cars Ltd to continue the line of sports cars. 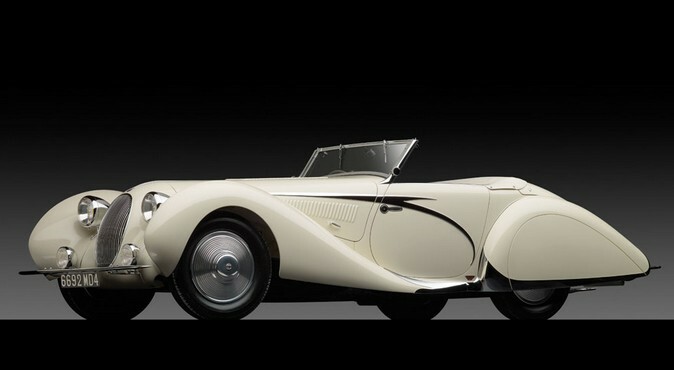 The SS 100 was introduced in 1936 and was nicknamed “Jaguar” by Lyons. The 100 referred the car’s capability to hit or exceed 100 mph. The engine was originally a 2.5-liter unit, but in 1938 a new 3.5-liter straight-six was introduced, making 125 horsepower. These cars were sporting: racking up victories around the U.K. and continental Europe. It’s one of the fastest, best-handling cars of the era. The styling is superb and this one, in light green metallic, looks stunning. Only 116 3.5-liter cars were made and they command a price premium, with an estimate on this car for between $320,000-$400,000. The model lasted through 1940 and in 1945, the company changed its name to Jaguar, mostly because the initials “SS” had a much more sinister connotation thanks to the Second World War. For more information on this car, click here. And for the rest of Bonhams lineup at Mercedes-Benz World Brooklands, click here.